If you are looking for a Property Investment Opportunity 2013 then this page may be of interest to you. Over the course of 2013 I will be listing some property investment opportunities that have come across my desk that I have deemed worthy of mention. 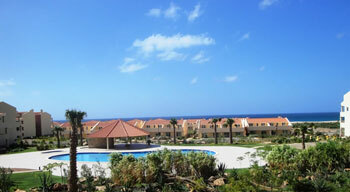 It is an opportunity to buy into an already completed development in Cape Verde. The Cape Verdian market has proven remarkably resilient in the face of myriad problems in Europe, the UK and the USA. Drawing heavily on its ties with Brazil in particular, which is currently undergoing a significant boom, the Portuguese speaking island group off the coast of Senegal in the Atlantic has weathered the European recession very well and the economy looks to be in a healthy state going forward. This particular property investment opportunity 2013 is one I know personally having visited it on a number of occasions during its development. The project was delayed for a number of years for various reasons from its inception in 2004. On completion in 2011, it has become evident that a number of investors are not now in a position to complete on the properties on which they initially put deposits at the end of 2005 and beginning of 2006. Obviously the developer still wants payment for the properties and those who put deposits on them are now in a position where they would actually like to get their deposits back, or at least some portion of them, rather than proceed to completion. With the current state of international property markets the developer is not in a position to allow the original investors to not complete on their contracts. The result is that this is an excellent opportunity for anyone looking to become involved in the Cape Verde real estate market with a range of properties already completed and ready for immediate occupancy or letting. The development is completed including all infrastructure, gardens, roads, etc. Letting rates on the island are currently attractive because, although a lot of property was planned for the islands, not that much of it ever actually got completed. This is a land plot just 500 metres from the luxury Kumbor One & Only development where construction begins in September 2013. Size is 5,000 m2 with main road frontage and directly overlooks the Kumbor development. It is accessed direct from the bank so the selling price is remarkably attractive at €160 per sq. m. Send an email to info@diarmaidcondon.com for further information. This property investment opportunity 2013 presents distressed assets from a motivated seller in Budapest for 35-50% of their normal market price. It is a unique business opportunity in which the purchase price is much lower than the market price, so the expected rental yield will be higher than in an ordinary real-estate investment. If you are interested in our offer(s), we will be happy to send you a detailed list of available properties. Furthermore, our company willingly mediates in reaching agreement with banks. Please let us know if you would like to get more information about these properties. Send an email to info@diarmaidcondon.com for further information. I have an American REIT client seeking 10 years plus real estate income in Germany. They are looking at all sectors (except Hotels and Nursing Homes) and across the country in both the former East and West. The main requirement is that the property in question should be leased for no less than 10 years to a credit worthy tenant and the client will purchase from €20m per building (one tenant one asset deals or a portfolio from the same owner as long as the tenants are solid). This particular fund is likely to be buyers of secondary stock let to a good tenants at yields of 7.5%/8% plus rather than prime properties where the yields are lower. Send an email to info@diarmaidcondon.com for further information. These are not some of the many rubbish Below Market Value (BMV) offers you’ll see strewn around the web. They are genuine opportunities for an investor to take advantage of a genuine case of single or groups of distressed purchasers needing to move their units on to an investor with fresh capital. If you that any of the above is a property investment opportunity in which you might be interested please do contact me and I will be happy to discuss the options in more depth.